This will be forever one of my favorites. 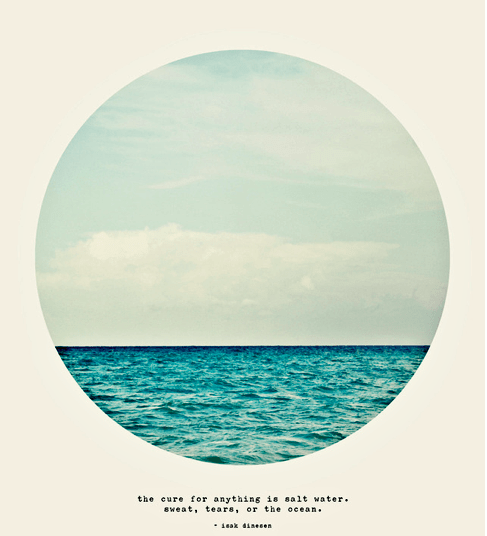 The cure for anything is salt water. Sweat, tears, or the ocean. Kudos to the artist that made it into this really simple, pretty wall art. *Prints available at Urban Outfitters. Enjoy your day! Dabble in a cure.